You will love this quick and easy Irish Soda Bread with Raisins recipe made with flour, baking soda, salt, sugar, egg, butter, buttermilk, and raisins for St. Patrick's Day or any time of year! Even though my family is mostly italian, we are a bit Irish as well. Each year we have the tradition of my mother cooking a big Irish dinner of corned beef and cabbage. I look forward to this dinner and spending time with my family every year. 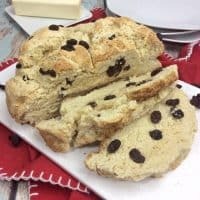 But to be completely honest, my favorite part of the meal for me has always been the Irish soda bread — made with raisins, of course! I love to enjoy my irish soda bread just out of the oven. When the bread is nice and warm the butter melts and it is just heavenly! The bread is excellent toasted with butter as well, which is perfect for breakfast the next morning. 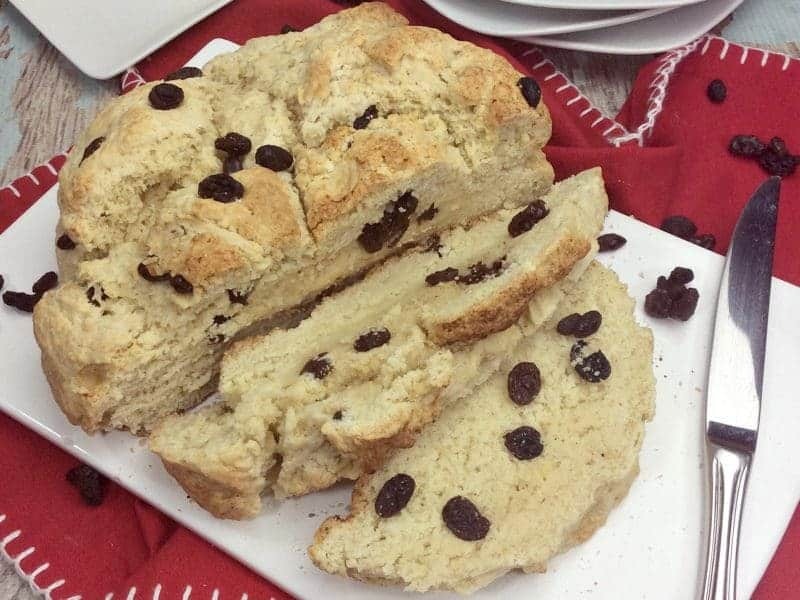 While we made our irish soda bread with raisins on a baking sheet, you could use a cast iron skillet instead. Your soda bread may need a few extra minutes to make in the cast iron skillet, but it will come out wonderful as well. 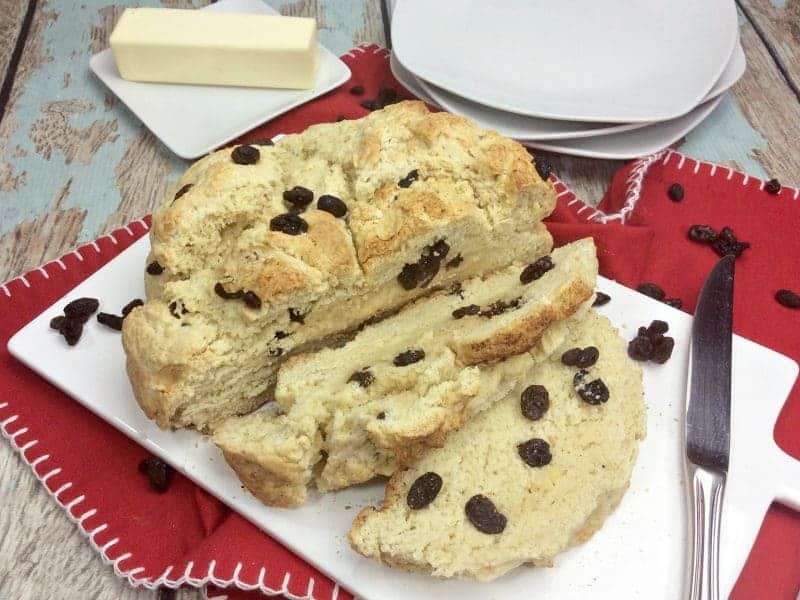 If you are a fan of irish soda bread with raisins and caraway seeds, those can easily be added to the recipe too. Enjoy! After dinner, why not try one of these delicious Irish desserts? Preheat oven to 450 degrees. 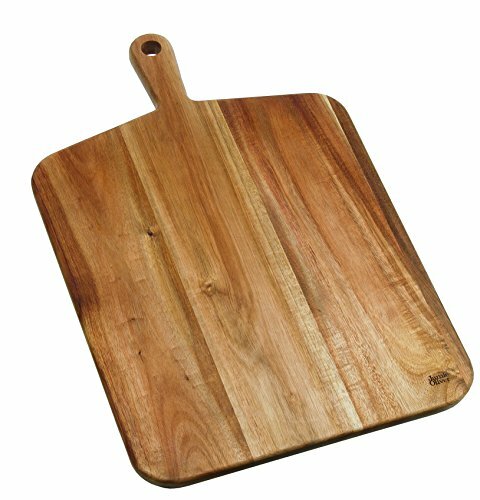 Prepare baking sheet by greasing with butter / non-stick spray or lining with parchment paper. In a large bowl, combine flour, sugar, salt and baking soda. Add butter, working it into the flour mixture with your fingers until it resembles a coarse meal. Add raisins, continuing to use your fingers to combine. In a small bowl, whisk together egg and buttermilk. Create a hole in the middle of dough and pour the egg mixture into it. Knead the egg mixture into the dough. Form dough into a slightly flattened ball and transfer to baking pan. If dough is too sticky and wet to work with add a bit more flour. 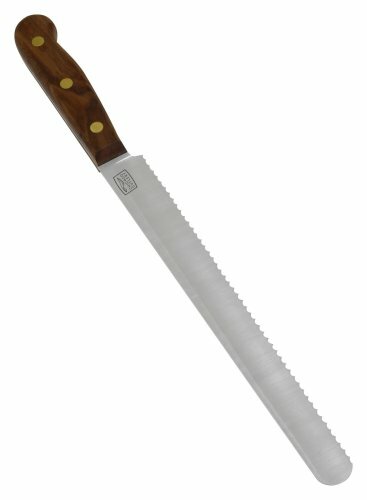 Using a small knife, cut an X into the top of the loaf. Bake 35-45 minutes until lightly golden. Can be made in a cast iron skillet as well, but allow for a few extra minutes in the oven. 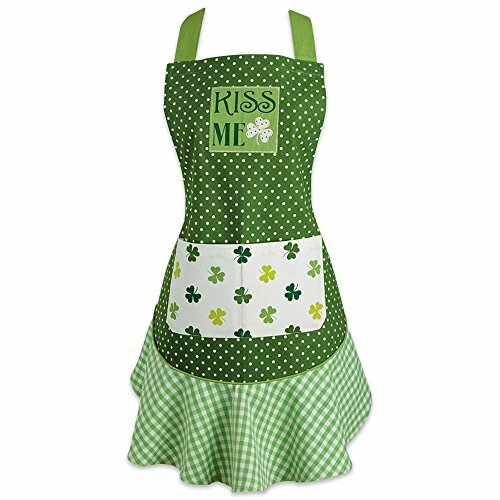 I’m planning our irish meal and this makes the cut. I think the kids would love it too! Thanks for the recipe. This sounds delicious!! I’m definitely making this!! Thanks for the wonderful recipe!! I love a nice soft soda bread. Thanks for the recipe. I have never made it before but I am this year! Everyone is Irish on St. Pat’s Day! I’ve never made Soda Bread before. I think I’ll try this one. Thanks! 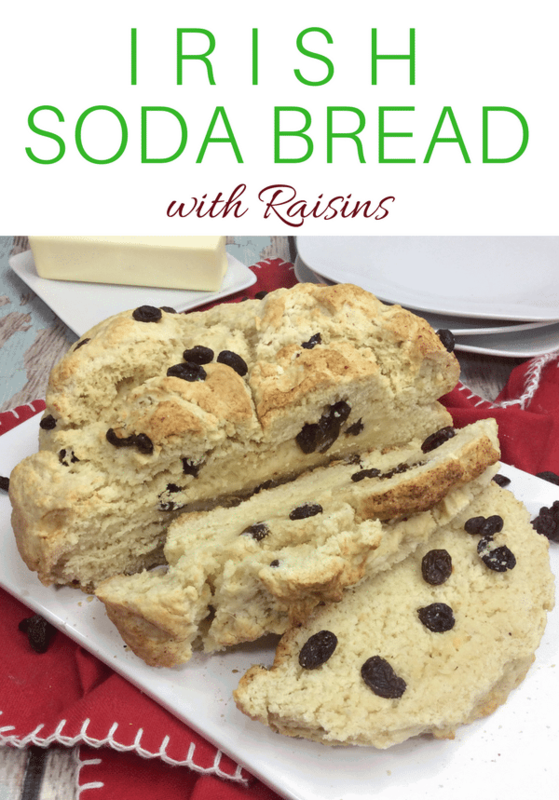 I have not made soda bread in several years but this inspires me to make some. One of my favorites and not to difficult. Such a great recipe,I would love to try it for St. Patrick’s Day! This recipe is perfect for St. Patrick’s Day. Thanks for sharing this. Looks delish! I will have to give it a go. This looks great! I am going to have to try this for St Patty’s Day. I pinned this! It sounds delicious! This looks so good I can almost smell it! Can’t wait to make this for my Irish boyfriend! Looks and sounds delicious! I will definetely have to try this recipe!